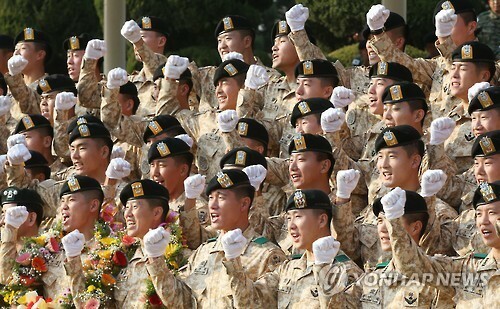 A South Korean Special Forces unit dispatched to the United Arab Emirates has become a “trip wire” in the ongoing Yemeni civil war, an opposition lawmaker said, calling for the unit’s immediate withdrawal from the region. In an interview with Yonhap News Agency on Thursday, Rep. Kim Jong-dae of the minor Justice Party said that the 150-member Akh Unit could automatically be drawn into the UAE’s fight against rebel forces in Yemen. The UAE has joined Saudi Arabia-led military campaigns against Houthi fighters in Yemen that are aligned with Iran. South Korea’s Akh unit has been stationed there since 2011 to provide military training and equipment for UAE forces. United States Forces Korea has deployed army units close to the border region with North Korea as a show of its commitment to the defense of South Korea. While some units have been relocated to the rear area, a massive artillery brigade remains there to deter possible aggression by North Korea. Given that these forward-deployed units are likely to be the first target of North Korea’s military attacks, their presence has assured South Korea that the US will honor its pledge to come to the country’s aid in the event of a war. The lawmaker said he would oppose a motion to extend the dispatch of the Akh unit. The government has submitted the motion to the National Assembly, and most lawmakers support the measure. The motion is likely to be put to a vote within the year. “The UAE went into a war in Yemen with the weapons provided by South Korea, and those Yemenis who want to avoid the war came to South Korea for help. ... We should understand the context before opposing their entry to South Korea,” Kim. The arrival of more than 550 Yemeni asylum seekers on Jeju Island in recent months has sparked debate on the country’s refugee policy, with anti-refugee activists opposing the admission of asylum seekers.